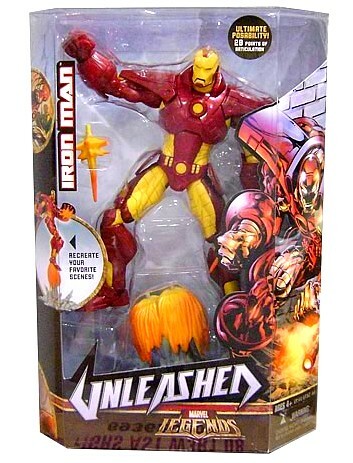 The new Hasbro’s Marvel Legends Unleashed 360 action figure, Iron Man. This poseable red and gold Ironman figure features 28 points of articulation to help you bring one of your favorite Marvel super heroes to life. Comes with a “rocket blast” base for display. Available now at Toywiz.